It’s that time of year where we find ourselves with an excess of holiday candy going rapidly stale. Not sure what to do with it all? Don’t throw it away! Try some of these ideas first. – Bake them into cookies. Why have chocolate chip cookies when you can have chunky Snicker’s cookies? – Add crushed candy canes to desserts like ice cream or brownies. 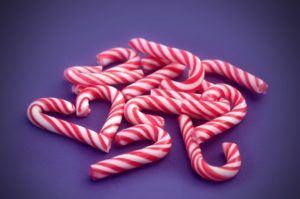 – Use candy canes to stir your hot chocolate or coffee. The peppermint flavor will be melted into your drink. – Melt down milk chocolates for fondue or molding into newly-shaped chocolate. – Add M&M’s to trail mix. – Stick it in the freezer and reuse as Valentine’s Day candy later! Get Your Candy Stocking Stuffers from Blair Candy! There’s no argument that candy stocking stuffers are an essential part of the holiday. Some say it started when St. Nicholas learned of a poor family, and knowing they wouldn’t accept charity, he waited until nighttime to sneak gold coins in the socks he found hanging to dry on the mantle. Ever since, we’ve been replicating this by leaving goodies in Christmas stockings. 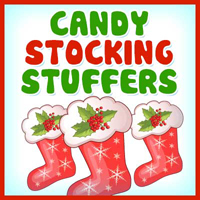 At Blair Candy, we have endless candy stocking stuffers to make both children and adults happy on Christmas morning. With chocolates, peppermints, gum, gummies, character candy and more, our selection of candy might leave you searching for bigger stockings! Create a Holiday Candy Buffet! the colors you need! Between chocolate balls, gummy rings, lollipops and more, you’ll find the candy you need to make your Christmas candy buffet the talk of your next party. Or shop-by-color section is also perfect for those seeking candy in the right colors to suit their wedding or party of another theme. 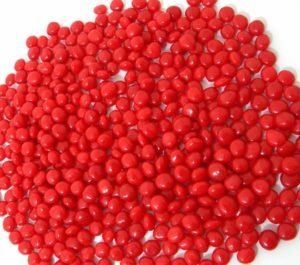 We also know the success of your candy buffet depends on the ability of your guests to stock up on the sweets, so we also carry paper bangs in all the right sizes. Create your Christmas candy buffet with help from Blair Candy this year! It’s National Cotton Candy Day! December 7th is when we nationally celebrate one of our old-time favorites – cotton candy! For over 100 years, cotton candy has been a fair favorite. It was first sold to the world at the St. Louis World’s Fair in 1904, but wasn’t named “cotton candy” until around 1920. In England, it is known as “candy floss”. Cotton candy is made from finely-granulated sugar that is heated and then spun into slim threads. This process is what creates the candy’s famous feathery texture, making it melt in your mouth! At Blair Candy, we don’t only carry classic cotton candy, but you’ll also find cotton candy bubblegum and cotton candy lollipops! Shop for fun variations of your favorite treats today at your go-to supersize candy store!